The core of our technology is a metamaterial, which is a material that is engineered to have properties that are not found in nature. On a microscopic level, it is a structure with a specific shape and size, made from ‘normal’ plastics or metals. On a macroscopic level, it can be seen as a material. Macroscopic properties like absorption can be engineered by adjusting the microscopic structure. With this technology, SeaState5 has created acoustically absorbing elements. Because the size of the absorbing elements is much smaller than the wavelengths contained in the noise, multiple elements work as one single barrier. To be cost-effective, SeaState5 has created panels that contain hundreds of absorbing elements. The effective frequency range of each panel can be tuned to the actual frequency content of the underwater noise. 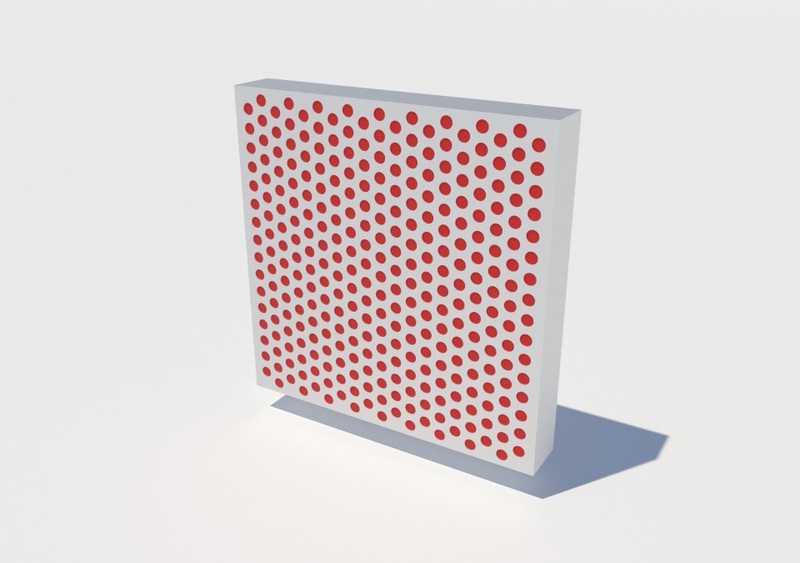 Acoustic panels can be combined into a full noise mitigation system. now we are looking for partners to test our acoustic panel in a pilot project. © 2019 SeaState5. All Rights Reserved.